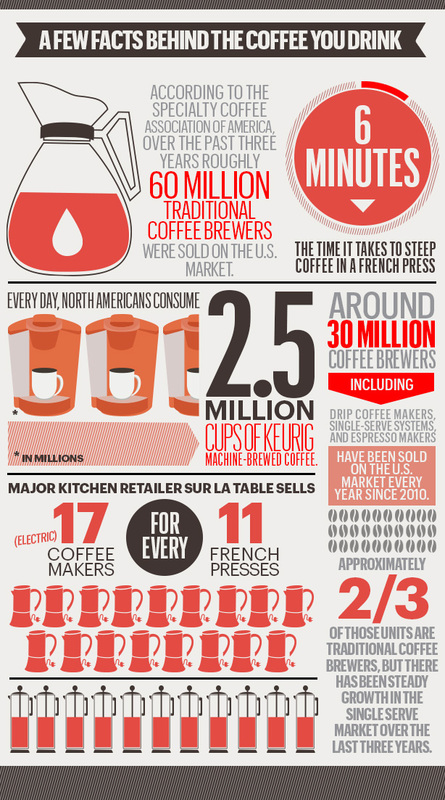 Coffee consumption is a constant source of conversation in our office. One dude who works near us drinks about five cups of coffee a day—before 11am. Then he has a few more in the afternoon. He is awesome. Meanwhile, some folks don’t drink any caffeine, yet always seem to be incredibly energetic all the time. These people are insufferable. 2.2 cups a day is the average daily consumption. $3.52 is the price at which people say a regular coffee costs “too much”—times have definitely changed. Only 8% say soy is their “creamer of choice.” Let’s hope it stays that way.